chain and sprockets - life span ? what sort or milage have people got out of the original bmw sprockets and chain before they needed changing ? what milage would you expect to get ? rear wheel bearings anyone had any problems- excessive wear at low milage ? Re: chain and sprockets - life span ? I had to change mine on my first XR at 13k miles. No problems with rear bearings, but had to change the front as water had got in. I think the chain quality is 'adequate', but nothing more. First chain was done at 18000 on 35000 now and second is virtually done had no issue with bearings. Will be ordering a new chain and sprockets soon but will try DID this time to see if they last any longer. Do ride all year round regardless of weather conditions and the bike is regularly plastered in mud and shite in the bad weather so it does get a fair bit of abuse, oh and I don't nurse it either. I have 13.5K on mine and its absolute toast. I checked it when I washed it at about 12K, checked it last night and its really bad, so bad I probably won't ride it. I have gone for a Tsubaki sigma x ring gold with Renthal sprockets. I was going to say surely you know yourself if the chain is knackered,but as I’ve said before I have an interest in a small bike repair place and the number of punters who turn up with chain hanging off the sprockets and they look at you as though your nuts when you suggest they’ve seen better days. I like the DID ZVM but i’d Be interested to see a warranty on such,the norm I see is ‘Well I sprayed it 4 weeks ago’ most chains i’ve Used end up with a stiff link before their knackered but rarely see one go past 17/18,000 miles. 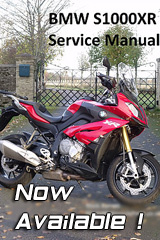 I thought it was on its way as I was adjusting it too often, BMW just confirmed it. I changed mine on 24 000km and I ride every day so it lasted quite long. I did keep it well maintained, cleaned and lubed it every 1000km. Changed the front sprocket only and put a 16T in - quite a difference in feel Replaced the original with DID and have not looked back yet.